The 137th annual Westminster Kennel Club Dog Show runs today and tomorrow (February 11 and 12). 187 different breeds of dog will compete to win the title Best in Show. 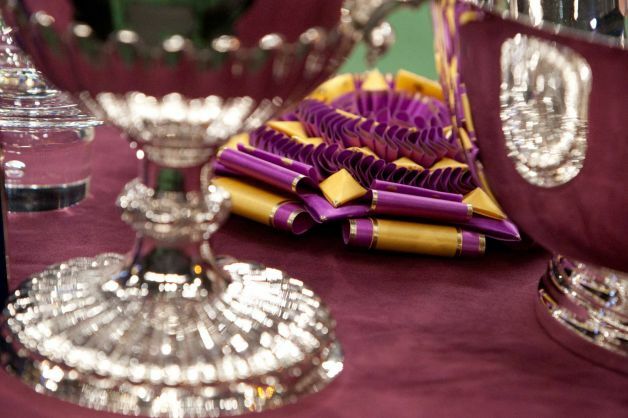 The judging of the groups and Best in Show will take place on tv, but this year a live stream is available online to watch all of the judging. The live stream is available at WKC Live. Monday: During the day Hound, Toy, Non-Sporting and Herding group breeds will be judged. Group competition will be televised live from 8 pm – 11 pm Eastern time on CNBC. Tuesday: During the day Sporting, Working, and Terrier groups will be judged. Group competition along with Best in Show will be aired on USA network from 8 to 11 pm, with Best in Show taking place at around 10:30 pm. 1. Westminster is the second longest running sporting competition in the USA, second only to the Kentucky Derby. 2. The show predates the invention of the light bulb and automobile. 3. 25 men have been elected president since the show began, and 12 states have joined the Union. 4. Only once has the offspring of a Best in Show winner been able to also win Best in Show – the English Springer Spaniel Ch. Salilyn N’ Erin’s Shameless in 2000 whose sire (Ch. Salilyn’s Condor) won in 1993. 5. Two new breeds were recognized and allowed to compete at the show this year the Russel Terrier and the Treeing Walker Coonhound. The decision to recognize a new breed is based on interest from the breed’s active parent club along with sufficient numbers and geographic distribution in this country. 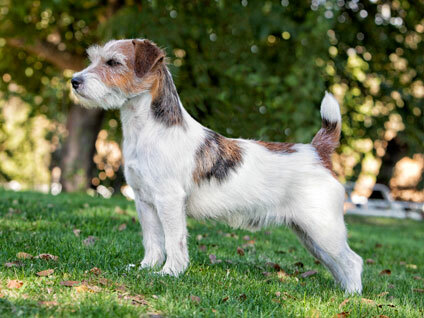 The Russel is a working terrier, a pack hunter, which is known for its small size and unique chest which is compressible to allow for efficient hunting below ground. These dogs are intelligent, loyal, and athletic. The breed comes in three coat varieties – smooth, broken, and rough – which is usually white with spots. Visit the breeds official website at theartc.org. This Coonhound was bred to track and tree racoons, which it is ideally suited with endurance and drive. The breed is intelligent, social, and confident. 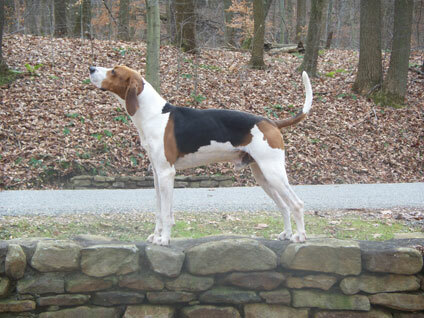 The breed was developed from the Walker Foxhound mixed with other hounds, and retains the coloring of the Walker. Visit the breeds official website at the akc.org. Do not forget to watch the show tonight and tomorrow night on TV, or take a look at the live stream at westminsterkennelclub.org. television air information from washingtontimes.com. Fun fact and images from westminsterkennelclub.org.